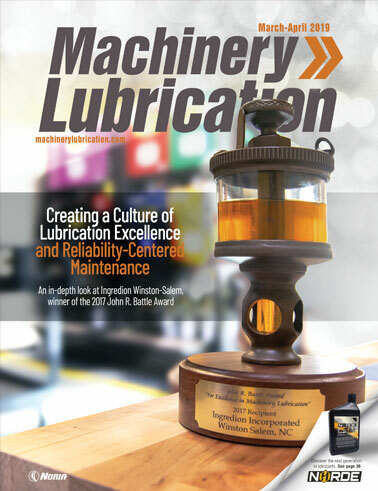 "What are the considerations for using ultrasonic-assisted and vibration-assisted lubrication? Do you have any recommendations or concerns?" Combining different predictive technologies is an excellent way to detect early failures in rotary equipment. Ultrasound and vibration analysis are just two of these technologies that can help you achieve greater machine reliability if utilized properly. For instance, ultrasound can be used to detect early failures in bearings. In many cases, it can catch the initial problems even earlier than vibration analysis. Ultrasound can also be employed to optimize both the regreasing amounts and intervals if your equipment operates at speeds of approximately 300 revolutions per minute or higher. The regreasing interval can be optimized by monitoring the increase in the noise level over time. If the threshold is reached or surpassed in a shorter timespan than the scheduled regreasing interval, this indicates the interval should be shortened. On the other hand, if the noise level remains low at the end of the regreasing interval, you should be able to extend the interval. 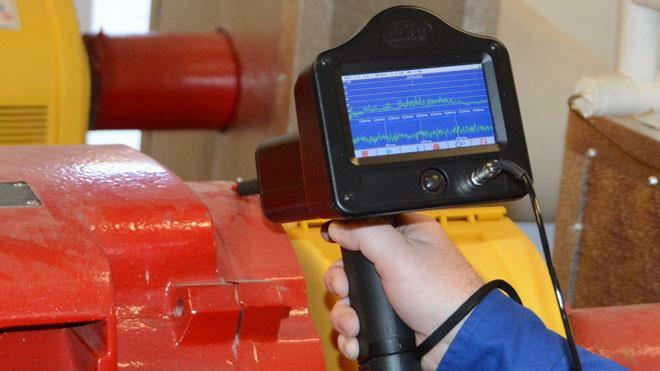 Vibration analysis is a great complement to oil analysis for rotary equipment. A monitoring plan combining both strategies may detect failures generated in the oil and from the machine’s operation or condition. However, for earlier detection of oil-related failure modes, oil analysis is often preferred, while vibration analysis is frequently selected to help detect machine-related failures. Some plants employ vibration analysis to monitor the lubrication condition of their rotary equipment. Although this can offer some valuable information, ultrasound technology will be more sensitive to this type of data. Thermography is also recommended as an additional source of information when something is not working as expected. 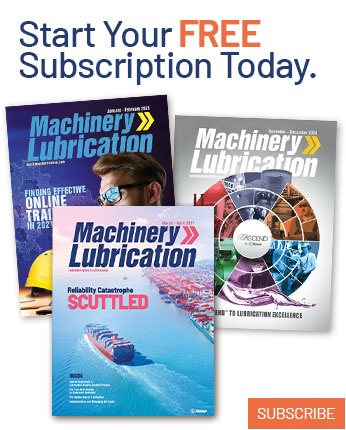 To implement an effective condition monitoring strategy, you must know the machine’s normal operating conditions, including the speed, vibration and temperature, as well as the possible failure modes and failure progression. This will enable you to select the right predictive technologies to use. This information will also help you to define the sampling/monitoring frequency, location and procedures. Keep in mind that all of these technologies will require the creation of a baseline to define the parameters that are considered normal for comparison’s sake. Finally, remember that an investment in condition monitoring technologies which is supported by a disciplined implementation program typically will pay back its cost in a very short period of time.